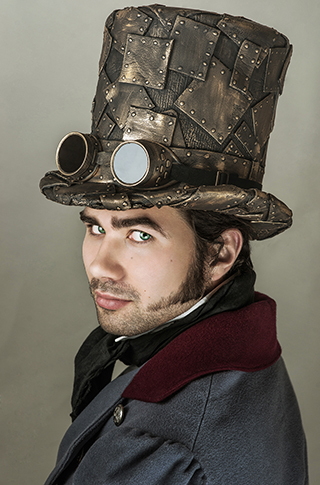 *What is your steampunk style ? *where in the world are you? Community Tips: We are a friendly association, and would like for this to remain so. Please be kind to your fellow visitors. Hold them in the regard you yourself would like to be held. Constructive criticism is always welcome, cruelty and mean spirited comments will not be tolerated at all. We adore seeing most of all: New steampunk outfits, gorgeous clothes bought or handmade , modified props, lovely home wares. We also don't mind interesting art, fine film and literature, and news items of note as long as fashion has something to do with it. Steam themed events are also beloved, providing you note what country and state the event is in. The sun never sets on Steamfashion, after all. Now on to eye candy so you who have seen this all at one point have something new to look at. changelingxx received this photo on Facebook; they know only that the lady peering into the fanciful telescope was photographed in Seattle. Would anyone here be able to supply more context? I've got enough material left that I'll be turning into a shrug ruffled cuffs before con. I'm excited to have found this community. 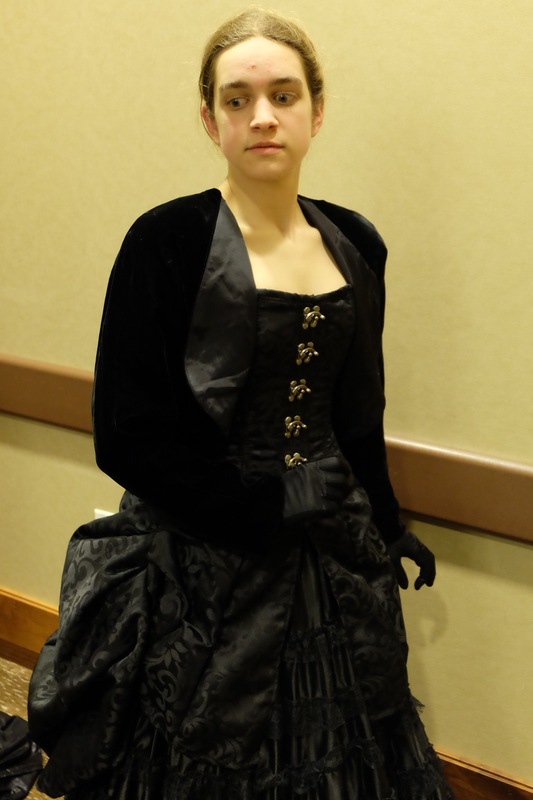 I'm relatively new to Steampunk, but have been enjoying Victorian and historical fashions for decades. Hope to network with people with similar interests and needs. 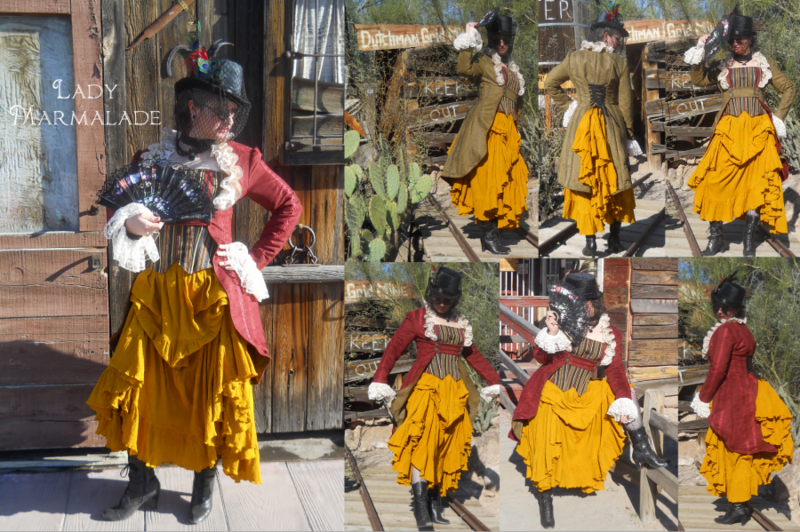 I create fashions of all sorts and have a steampunked "Lady Marmalade Collection" available through my business, Painted Lady Clothiers. You can find us on Facebook for more outfits and garments until our website is completed. Steam Ingenious' "Best 2172 Contest"
I just found an exciting contest that I thought I'd share with other Steampunk costume makers here. It's a contest of coats (the rest of the costume too if wanted) from the Simplicity 2172 pattern. It's open until the end of October and then people can start voting. I'm thinking I might make a new coat and enter it, I'm pretty sure my plain jane version I've already made wouldn't turn any heads. I know I've seen a few other people here with the same costume so I thought I'd spread the word. The winner gets a bunch of patterns, who wouldn't love that? When I was first writing Mrs. Hawking, my original steampunk play, I knew a big part of the appeal of the story would be the trappings and the spectacle. The look of the steampunk setting would add a great deal of gloss to the tale I was trying to tell, and I wanted to take advantage of everything that setting would afford me. 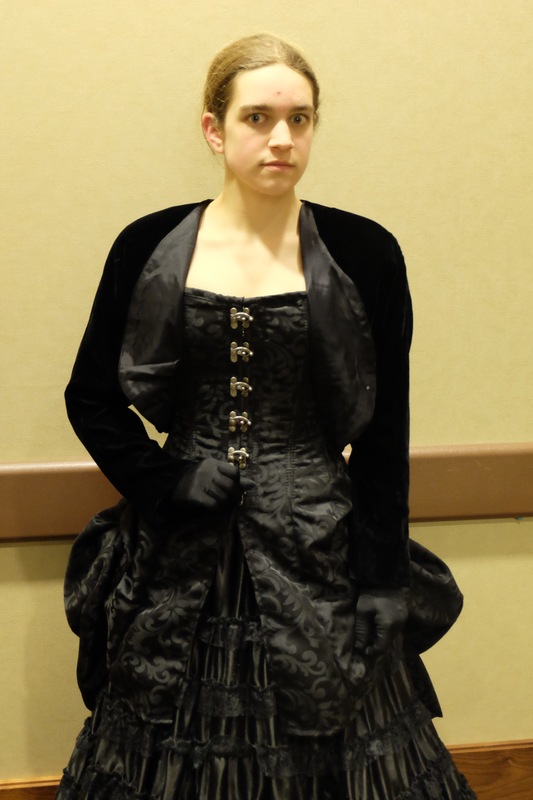 And you can't tell a grand caper set in Victorian London without a few gorgeous period costumes. I do some costume design professionally, and I remember one of the young actresses in a production I worked for a high school asking if when I wrote my own plays, I made sure to write in costuming requirements that were workable. I had to laugh at that, because as often as I bemoan playwrights who design things without any regard to the practicality for production— in fact, I wrote the craft portion of my master’s thesis on it —because Mrs. Hawking is a perfect example of my falling down on that particular job. 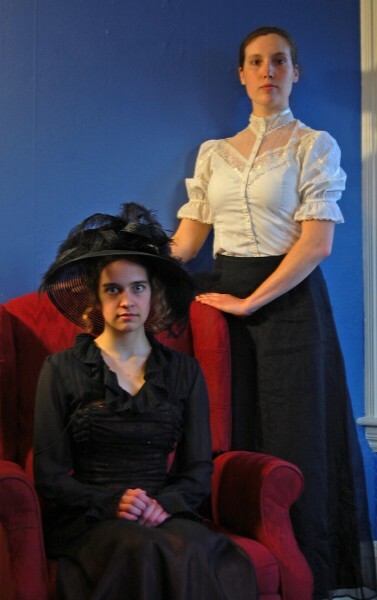 Characters have TONS of changes in this play, sometimes every other scene, and in and out of complicated Victorian looks. That's a hell of a task for a cast and a costumer! Though I pitched in with a few looks for the Arisa 2015 production, mostly ones I’d already put together for the Mrs. Hawking photoshoots, our primary costume designer was Jennifer Giorno, also the actress playing Grace Monroe. So the challenge of putting together Victorian ballroom looks that could be changed in and out of in very short order fell on her. Not an easy task on our budget! But she got a great idea to see if we could a costume company to agree to sponsor our production by lending us some pieces. That is where Pendragon came in, a maker of fine costuming with a fabulous selection of steampunk and Victorian looks in their Mad Girl Clothing line. In return for credit in our program, they very generously agreed to lend us three pieces of handmade eveningwear for our leads. It was an incredible thing to happen to us, as it gave us the opportunity to have some of the most important costumes in the play be particularly beautiful, as well as practical for the demands of the quick change. A full Pendragon outfit can be seen here on Samantha LeVangie in her role as Mary. It was particularly important that Mary come out looking exquisite-- transformatively so --as an indication of Mary's potential to become a powerful, brilliant, dyanmic person. Jenn asked the company if it would be possible to get Mary’s garments in blue, as I’ve long imagined it to be Mary’s signature color. 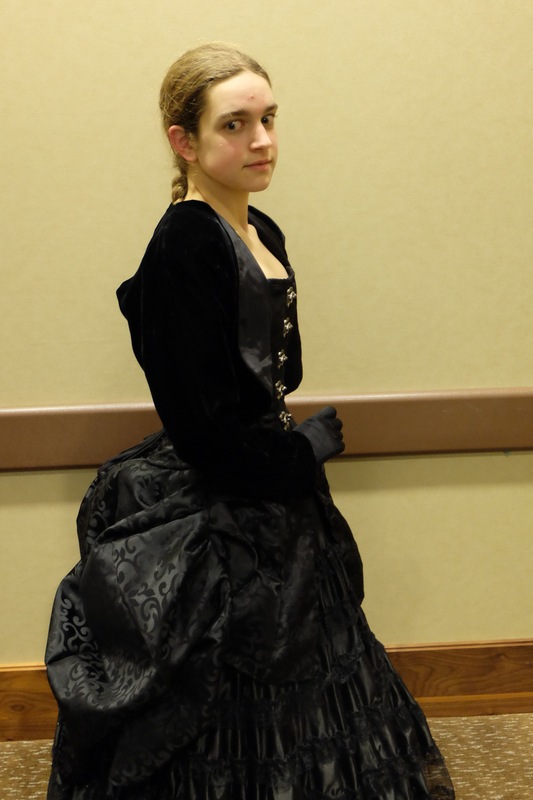 They provided us with two gorgeous pieces from the Corset Gown Outfit— the underskirt with its "front panel of chenille fabric sewn to a cotton skirt" and the matching chenille shrug with its "high, snap down collar." 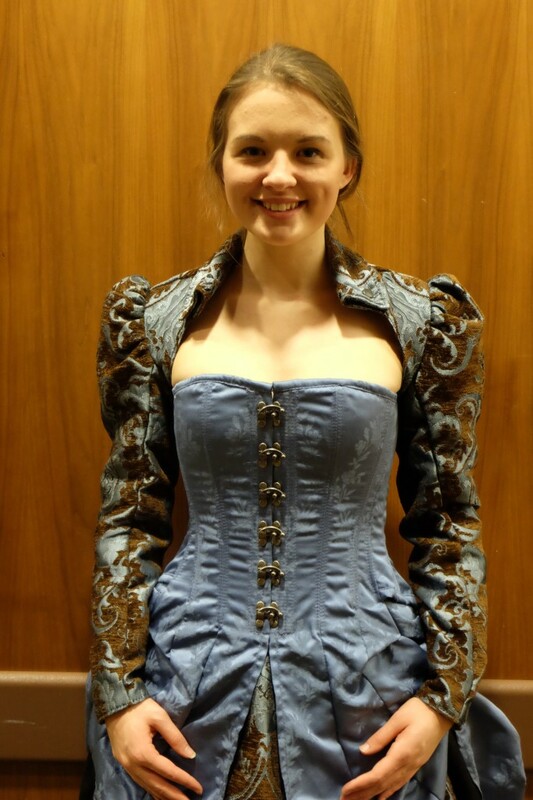 Samantha also wears their Corset with Bustle, loaned to us by a friend who purchased it from Pendragon a number of years ago. 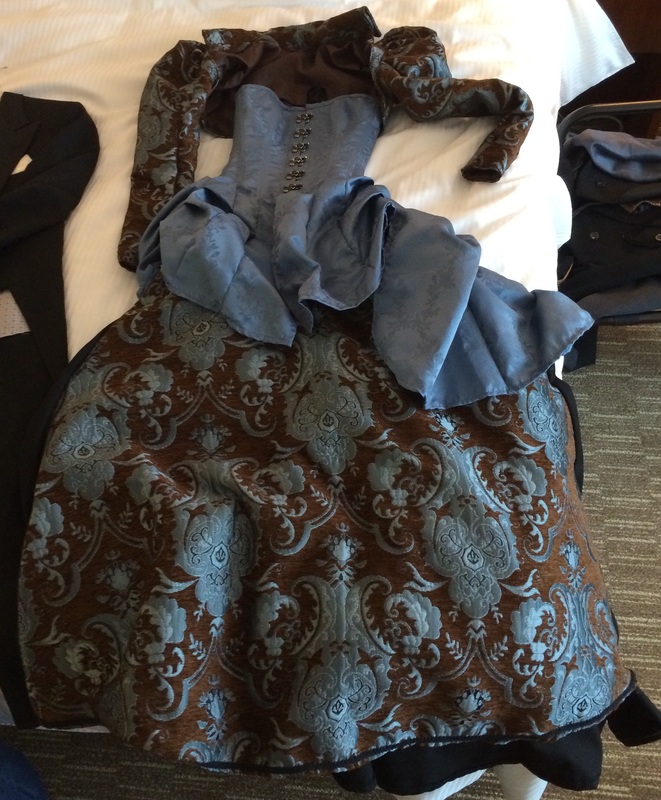 When Jenn told Pendragon that the bustle corset was in the color of Welkin Blue, they chose the blue and brown pattern for the coordinating skirt and shrug. It makes for a lovely and complementary combination, particularly given Sam's coloring and the character of Mary. Sam is an extraordinarily beautiful woman, and she wears this so well. 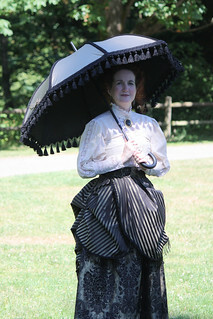 The other piece Pendragon so graciously lent us was for Mrs. Hawking, modeled here by Frances Kimpel. 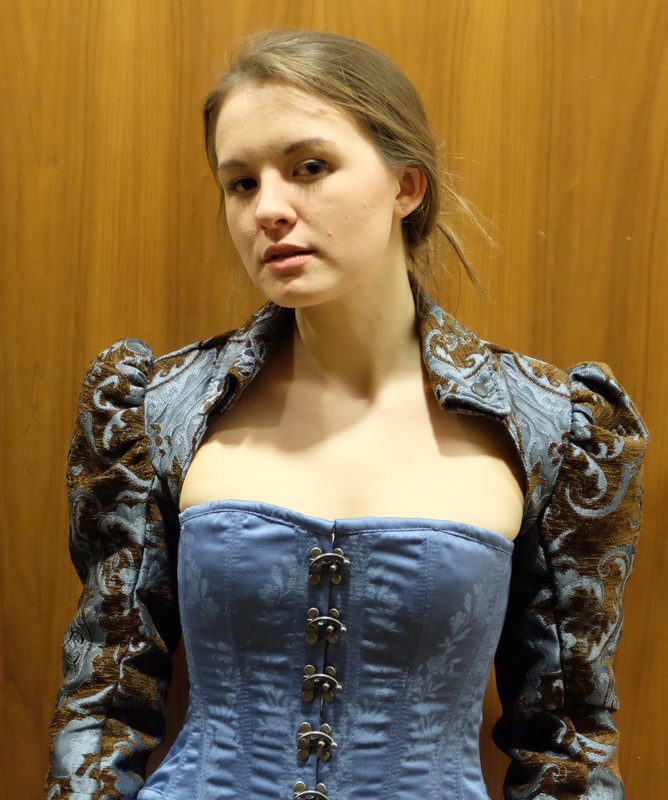 This was also a Corset with Bustle, a particularly useful piece not only because it looked so cool, but because its toggle-hooks running down the front assisted in making the quick change a little easier. Because Mrs. Hawking is a widow, of course it had to be in black. To keep the looks consistent, Frances also wore a velvet bolero with the labels pinned back so the details of the corset would be visible. The skirts are from Jenn's collection, also part of her ordinary day look. I also made Frances wear those gloves through the entirety of the play, poor thing. It made sense for all her looks-- those where she is supposed to seem like a respectable middle-class widow, and when she is an operating agent in stealth garb. ...has the aspect of armor when worn on Mrs. Hawking. 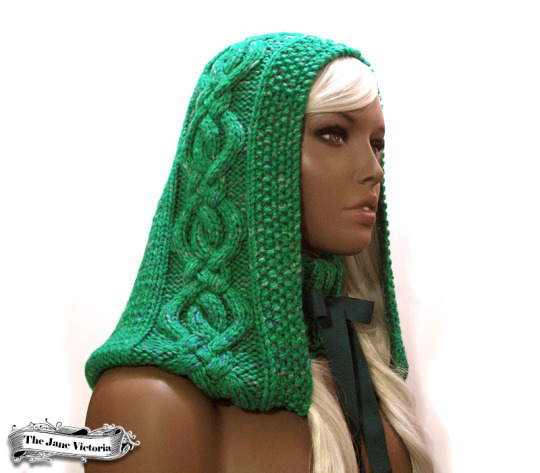 If you're interested in owning some of Pendragon's gorgeous costuming, don't hesitate to check out their website. Their work is both truly beautiful and extremely high-quality. In fact, there is a chance that the pieces they lent to us are still available for purchase, as they went on sale as soon as our show finished! You could end up owning an artifact from the very first production of Mrs. Hawking! 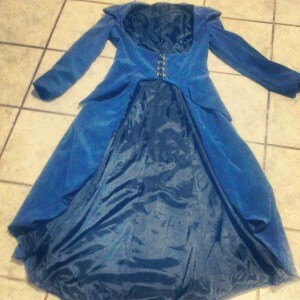 Hey, I am working on a Halloween costume that is Steampunk. I'm sewing it myself. I am working off of the Simplicity 2172 pattern and am currently working on the skirt. 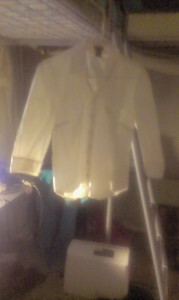 I have the jacket done. I used a different pattern for the corset as I did not like the look of the bustier and I can make a properly boned corset anyway. My dilemma her is the shirt. I do need to wear a shirt under this as I will be wearing this to work and it needs to be in dress code. I did check with the corset and as long as it is worn over something that covers up the cleavage it is ok to wear outside of my clothing. I have a nice white button down top that looks like it would look great in a steampunk ensemble as it will only be the collar and bust that are exposed, but I was wondering if there might be something better to where in this ensemble. Below are pics of the jacket and the shirt. I'm a writer in the process of making a website to showcase my current work, what is intended to be a theatrical series about a young Victorian woman takes a job as a housemaid for a seemingly normal society widow, only to find out that her employer secretly works as a champion and avenger for all the downtrodden ladies of society. It's called "Mrs. Hawking," and it is a high-action mystery caper with a very steampunk twist on the role of women in repressive Victorian society. To depict the characters I've been assembling costumes from various pieces from thrift stores to create their looks. 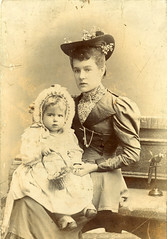 Mary Stone wears a skirt and blouse with an apron, while her mistress Mrs. Victoria Hawking wears a blouse under a an old prom dress with corset-like detail, plus a modified derby bonnet. Their preferred weapons, as you can see, are a slim knife for Mrs. Hawking, who is a master of speed and stealth, and a fireplace poker for Mary, who's work as a maid has given her the physical strength and affinity for the blunt instrument. Of course, when they must go undercover at a fancy society ball, they must dress the part. Mrs. Hawking's gown is green velvet with black ruffled skirts layered beneath it, while Mary's is an old lace and tulle wedding gown dyed blue. 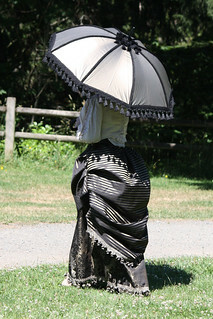 But of course, when one must infiltrate a hostile location to gather information, corsets and voluminous skirts won't do. Mrs. Hawking requires a subtle option when she does her breaking and entering. Her stealth suit is made up of two stretchy shirts dyed black, one for her top and one for her hood, black riding britches, leather gloves, leather belt, and granny boots. If you're interested in getting to know these characters, more information can be found at www.mrshawking.com!